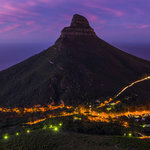 Cape Town is a renowned South African coastal city. With more than 4.2 million people, it is a city with so much fantastic and unique experiences to offer. 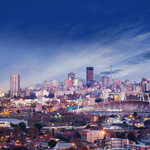 Cape Town is alive with vibrant energy pulsating through the metropolis. The city is home to many great attractions, including Boulders Beach, Table Mountain and Robben Island. Prepare for one sensational adventure along this coastal city with Cheap SAA flights from Durban to Cape Town. Cape Town is home to Cape Town International Airport (CPT), which is a 15-minute drive from the city centre. Book cheap SAA flights from Durban to Cape Town at Travelstart today! You must have a South African ID or passport when flying to Cape Town. Cape Town International Airport is a 15-minute drive away from the city centre of Cape Town. There are many attractions in Cape Town to be enjoyed, including the V & A Waterfront, Cape Point and Lion’s Head.